Hello everyone! 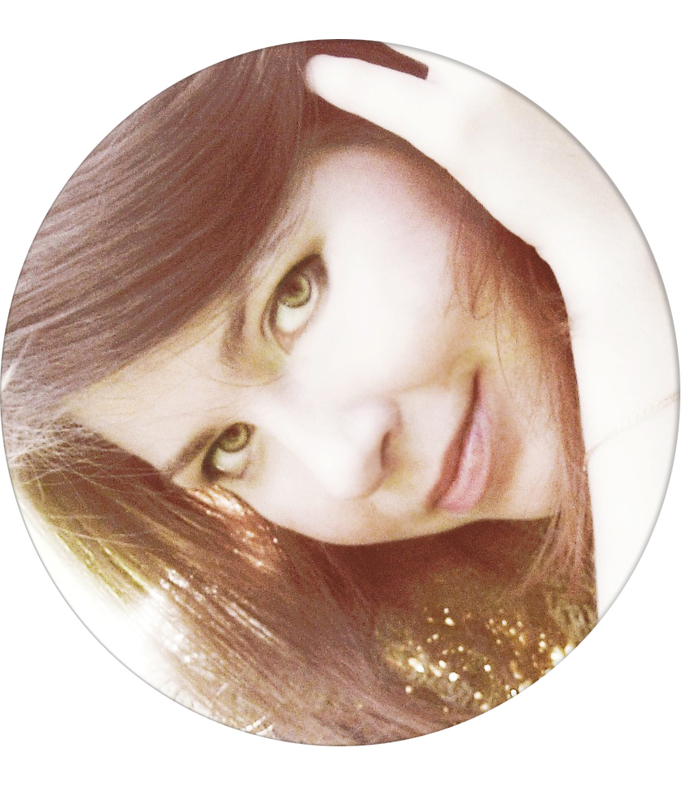 Today I'm participating in Altenew’s 5th Anniversary Blog Hop Day 1! If you came from Zsoka Marko you are on the right track, but if not please start at the Altenew blog. 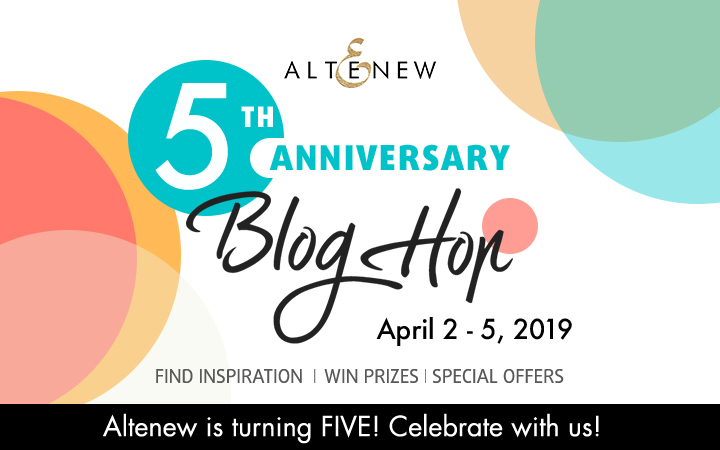 In celebration of these past five years, Altenew is hosting a special four-day blog hop! With four days, you know there is going to be so much Altenew inspiration heading your way from many talented designers! There are also prizes up for grabs, and even a shopping discount code. All these details will be listed at the bottom of this post. To celebrate Altenew's Anniwersary I made a card with beautiful Dearest Friend stamp set. I stamped the beautiful flowers onto watercolor paper with black ink and watercolored with Altenew watercolors. I slightly watercolored the background and splattered it with the same paint and also with solution of Perfect Pearls. Then, I stamped the sentiment with black ink and adhered my panel onto white card base. Your next stop in the hop is Amber Rain Davis! So pretty! :) Like how you painted the flowers. 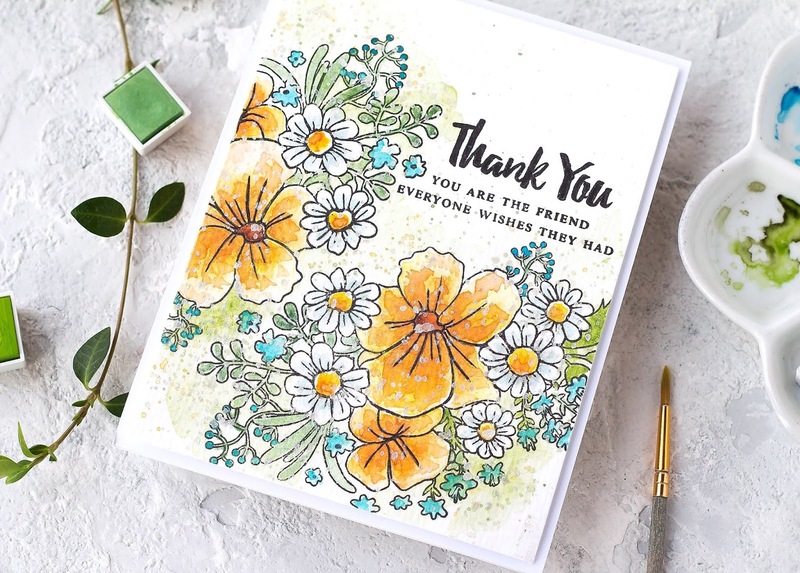 I love the beautiful, fresh spring look on your card! Thanks for all of your amazing inspiration over the years! This is one of my fav Altenew sets! Thanks for inspiring me to get it back out! 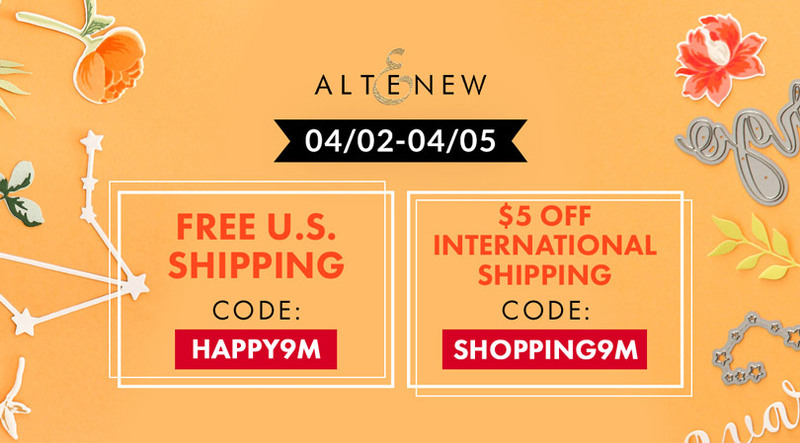 I love Altenew - Happy 5th Birthday!!! Georgeous card. Love Altenew flowers. In love with the sentiment! Pretty! Your water coloring is just phenomenal! I love this card I think the colors go perfect together just stunning !! I love your watercoloring. It's beautiful! Thanks for sharing. So beautiful! I love this card! Very inspiring! I’m so in love with Altenew!! Can’t earn money fast enough to buy all the ones I want but I do have quite a few … about 70 sets to be exact! So happy to be able to purchase them here in Germany!! Congratulations Altenew! And thank you Kristina for all your ideas and know-how!! Beautiful painting. So soft and pretty! I really love this card. I don't think I had seen this stamp set before. It is a blooming garden of beautiful flowers of all sizes. I am going to look this one up! Thank you! I love how you painted the orange flowers. I really need to try the watercolor. It looks so FAB! Wonderful card, i just love Thank you cards! Beautiful! Another set is on my wish list of Altenew's must haves! Another beautiful stamp set and card! Tfs!! Unbelievably Gorgeous!! Very Talented lady!! I love this card and Altenew. I am an Altenew fan and can't resist their stamps. Your card is so pretty - all the colours and freshness of Spring. Happy anniversary to Altenew! Love this gorgeous card Kristina! Thanks for the inspiration! Love this beautiful card! You chose such pretty colors and the design is so nice. I'm gonna have to get some of these beautiful stamps! Tfs it's gorgeous! So beautiful 😍! Happy Anniversary Altenew , Very pleased to be a part of your success 5 years ago 🌷 , much more success to come . Beautiful watercolor work. Happy 5th Anniversary Altenew. So pretty .... lovely card. Happy Anniversary Altenew! This card is really gorgeous! I've pinned it and will be back to watch the video so I can make my own! Adore your cards. Happy Anniversary Altenew! Love your products. Dearest Friend clear stamp is now a must-have for me. First time I have seen Altenew stamps painted with watercolor and they are beautiful! I am in love with these stamps. Lovely card Kristina. The coloring is so pretty... that flower image is perfect for water coloring. Happy Anniversary Altanew! 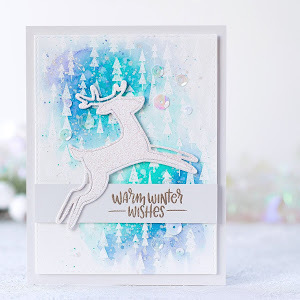 Beautiful card and I love the colors you used as well as the paint splatters. So pretty and bright. Great job! 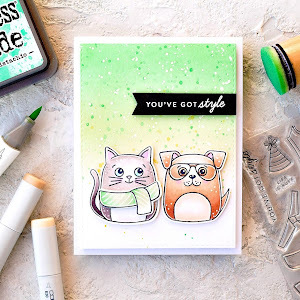 You color beautifully and this is a gorgeous card. beautifully designed card, great coloring. Happy Birthday Altnew.. thank you for the absolutely beautiful inspiration..
Beautiful card and love the coloring. WOW... just gorgeous card! Love the pretty flowers. What a beautiful card. I love the watercolouring. 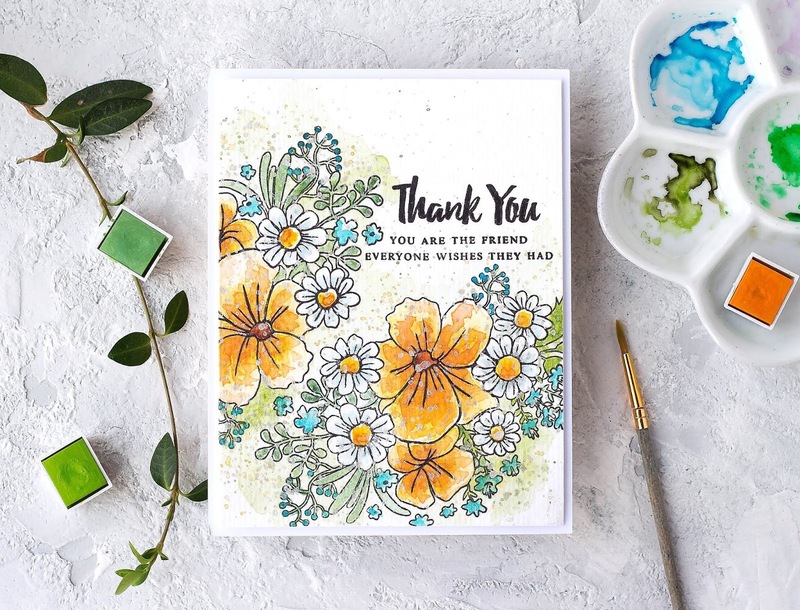 Beautiful spring card with lovely watercoloring! Your watercoloring of these beautiful flowers is awesome. Such soft colors. Dearest Friend bundle is so fun!!! 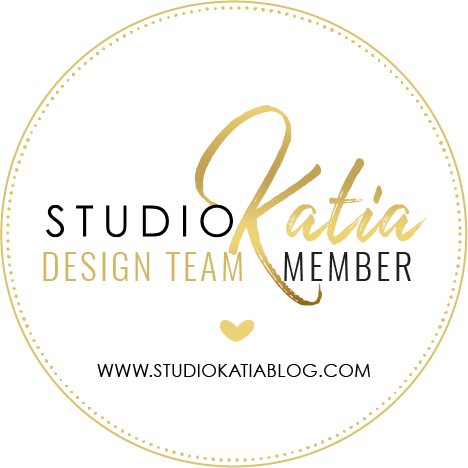 Your color choices and layout are perfect! Thank you for sharing a fun card idea! That's a great job with the yellows. Love it with the white and a touch of blue. Pretty! Beautiful Spring card. Love the colors you used. Beautiful work in your designs. Love your style and your techniques are amazing. I can't wait for your next post. Awesome card. Love all the different flowers in this one. Cute! Cute! 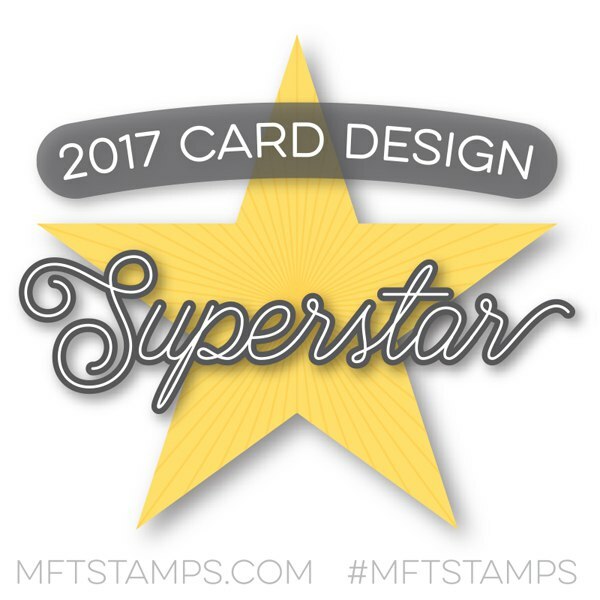 Totally rocking this beautiful stamp and bringing it to life! Thanks for sharing your beautiful artwork! Such a sweet, pretty floral card! Happy 5th anniversary to Altenew! A lovely card, and loving the colours. Ideal for celebrating the Altenew 5th birthday, I feel. I love all the splatters on your flowers Kristina, a lovely card. Great watercolor skills. I enjoy watching your process. Altenew has so much to offer when it comes to coloring! No matter what medium you choose to use. Your water coloring is gorgeous! 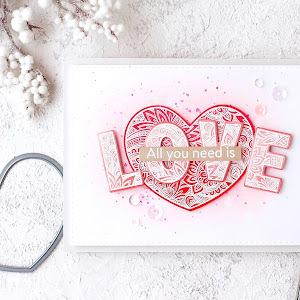 Love the soft background you created for this lovely card. I really love how you colored this card! So pretty!! I love your card! Beautiful! Love your card! I must try watercoloring soon. Thanks for sharing. Beautiful card, beautiful colors, beautiful sentiment. 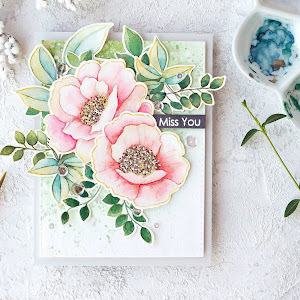 Such a pretty card - with such great Altenew products! What a beautiful card. Loving the watercolors. Wonderful job. Thanks for sharing your creativity! I am getting out my water colors now. You have inspired me. Have never tried watercolors. But after seeing the card and the inspiration you offered - getting out my watercolors and giving it a try. This is very pretty. Your painting looks great and I love the spatters. Your project has a young fresh element to it I just love, thank you for the video and sharing your talent! 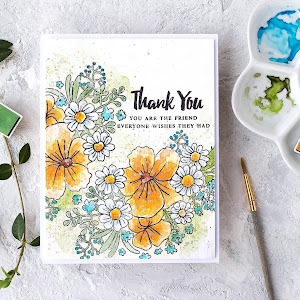 Wow - I just bought this Dearest Friend stamp set and I love to watercolor. Your card is gorgeous!! 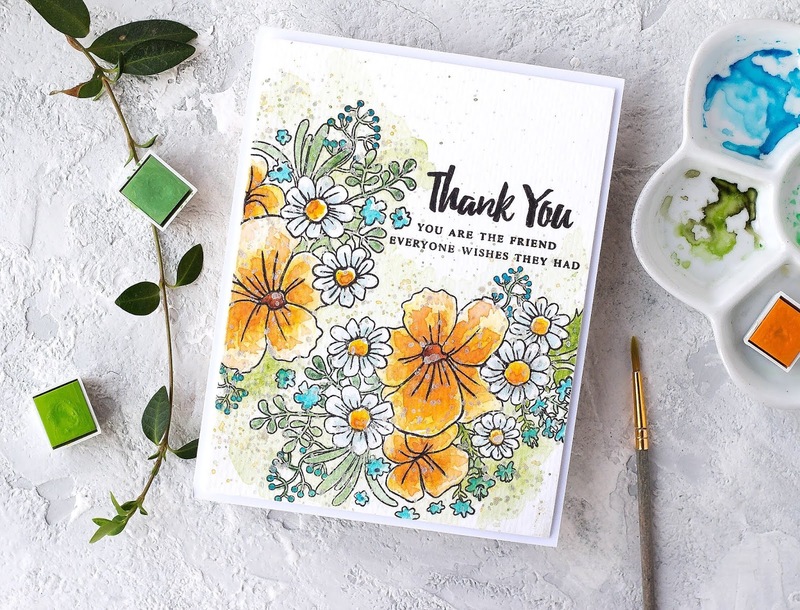 Beautiful watercoloring on these lovely floral stamps! I enjoyed watching you create this beautiful card. Gorgeous water coloring on this beautiful card. thanks for another awesome video tutorial. You always create cards that make me smile. Thank you. 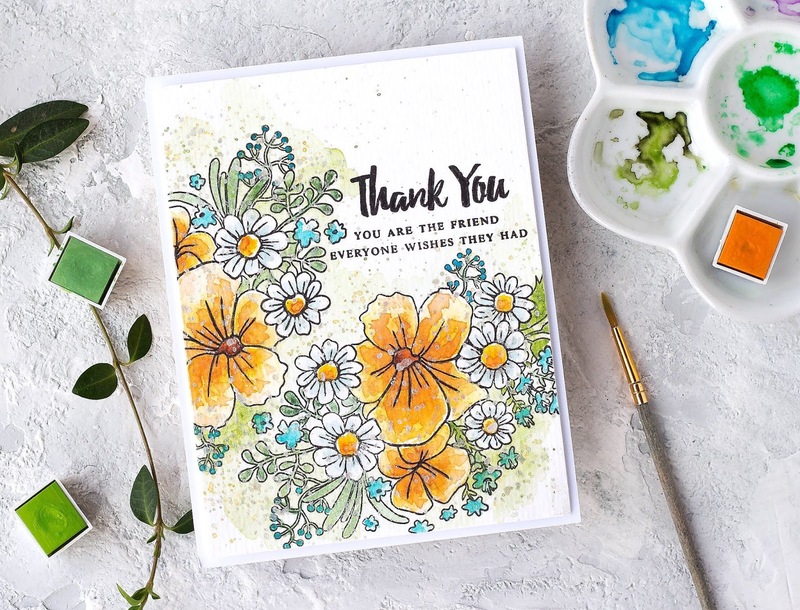 I love how you did the water coloring on this card! Your water coloring on this is STUNNING!! I love the stamping you did on this. GREAT design. How charming! Love all the great details! Your card is simply lovely! I love your use of colors and aspire to be a water-colorist like you one day! A beautiful way to wish Altenew a Happy Fifth Birthday!!!! Your card turned out just beautiful! I loved how spring like it is....perfect for Easter. Loved it. Thank you so much for sharing today..
Amazing coloring as usual!!! Happy Birthday Altenew! 5 years! WOW! Amazing. THANK YOU for all your inspirations!! So Beautiful! The colors are stunning. Happy 5th Birthday to Altenew, such a delicate pretty card! I have started water coloring and you make it look so easy. Beautiful card. Beautiful card, so pretty. Thank you for sharing your talents with us. Such a pretty card. Water color is the technique I need to practice on. Thanks for sharing. My favorite card of the hop so far! It's absolutely perfect! 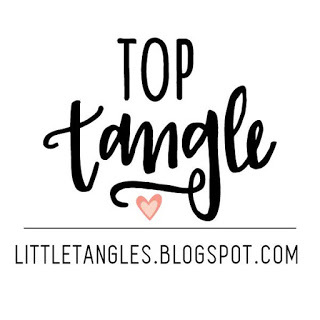 fun blog hop. great ideas. thanks as always for sharing. Your watercoloring is beautiful! Well done. Such a pretty card with awesome watercoloring. So talented and creative. Thank you for sharing your time and talents also inspiration. I love this sentiment! Your card is so beautiful. TFS!! Love your card. Thank you for sharing. Love the watercolors! Great job! Beautiful card. Happy birthday Altenew! Love the card. This is simply amazing! Happy birthday Altenew! wow your card is amazingly beautiful. I love the look of water color and have been trying to do some of my own but once I see yours I have a long way to go. Love your water coloring! Such a pretty card! 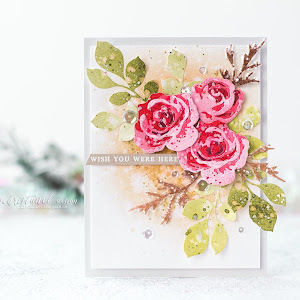 One of the nicer cards I have seen on the blog hop.i like watercolors. I love to watch water coloring. So talented. Thanks for sharing with us. Very pretty card! I love the contrast from color to black and white! Beautiful card, I love the colors! Thanks for the inspiration! Great card, Kristina. Glad to be celebrating the Altenew anniversary with you and others! I love your style, very beautiful cards. Congrats and Happy 5th anniversary Altenew! Gorgeous card! What a superb stamp set! Love your watercolouring too! Beautiful card ,I loved the loose the textured watercolored look . Beautiful Spring meadow, love the soft pastels used for flowers coloring and the sentiment is so sweet. Beautiful Card. Kind of old fashioned and homey. I just love all the watercolor cards. 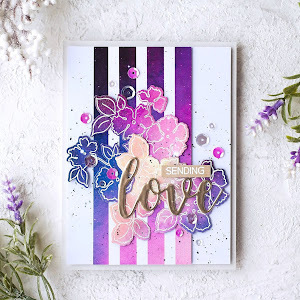 Love your card using flowers and soft pastel colors. it is a true beauty. Thank you it is so dainty and the use of pastel colors make it stand out. Wow what a lovely idea. So pretty, this set is definitely going on my wish list! Beautiful card! Love the watercoloring technique. Your card is beautiful and I love the colors you chose. Thanks for the video. Such a gorgeous card! I LOVE this sentiment! Thank you for sharing! Beautiful card. I just love watercolors. A sweet design for spring! Beautiful! A beautiful card from a beautiful stamp set. Loving this blog hop. Thanks for the inspiration. Your watercoloring is just beautiful! I would cry if I got that card. It's so beautiful, the flowers and the saying. Someone is lucky they have you as a friend. The splatter with perfect pearl solution is a great idea, I will try that! Thank you, your work is lovely. Gorgeous card! Your water coloring is amazing! I love this stamp set, it's so versatile. Omg!!! this card is so beautiful. I wish I was that good with watercolor. Your beautiful watercolor card is gorgeous. Love watching you work! Your card and watercoloring is lovely. I like how the watercoloring technique gives the appearance of even more texture to your card. Happy Anniversary to Altenew! Your patience and attention to detail as I watched the video were very impressive. Inspiring work. Love your lovely colored Spring card. Another beautiful card with an Altenew stamp! Thank you for the inspiration and congrats to Altenew! Beautiful card & I loved watching your watercoloring technique!! Thank you for sharing! Well done Altenew! And congratulations! I really love your wonderful projects - especially your pretty flowers. Thanks for the lovely card inspiration! Gorgeous card Kristina, I loved too watch your water colouring. 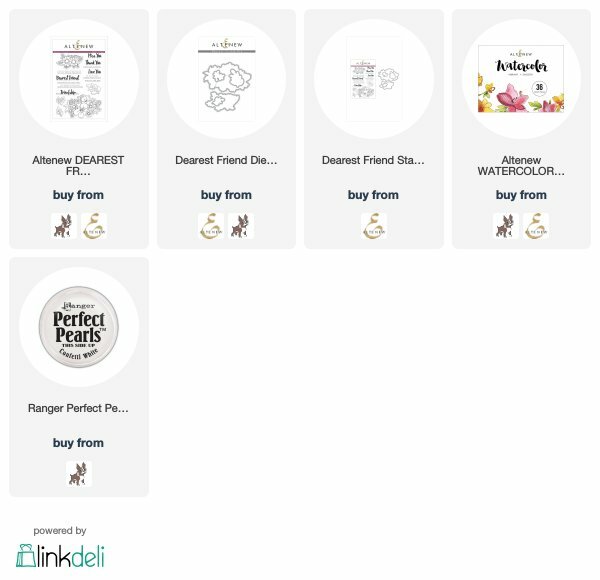 I've seen a few people using Dearest Friend on this hop, and I'm going to have to take another look at it, because I've really enjoyed the results. 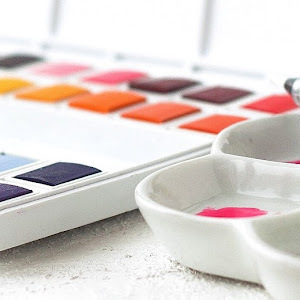 Your watercoloring is lovely, and I appreciate you sharing with us! I absolutely love this card!!! I love the muted colors... the softness, and I love seeing how you created it step by step down to the splatters! Thanks! Why can't my watercoloring techniques be as neat and tidy as yours? I like that you filled the card with color and details. Thanks for sharing. Beautiful card. I love your water coloring. Very lovely. I love the fresh spring feel of this card ... thank you! That "Dearest Friend" set has stolen my heart! What a lovely card with the perfect sentiment. Thank you for sharing your talent and thank you Altenew! What a pretty card! I loved watching you create this beauty on your video. Thanks for sharing your awesome creativity with us! Happy, happy, happy! Love it! Your watercoloring is always so pretty. Congrats to Altenew, and congrats to the design team on so many beautiful projects! Very pretty watercolor card! Thanks for sharing.